The American Association of Nurse Anesthetists, or AANA as it is commonly known, is a professional body aimed at keeping the standards in the domain of nurse anesthesia high. The profession is one that is growing markedly and quickly, which means that an increase in regulation is required. By enforcing protocols and insisting on high levels of quality, the association is not only protecting the profession as a whole, but also each individual nurse anesthetist. Membership with an association such as this one is often compulsory when applying for certain positions. Let’s begin by considering the vision statement, which essentially highlights the ideal of safety for the profession as well as for the patient. This is one of the main aims of any professional organization such as this one. Protection plays a large role in the establishment of professional associations as everyone’s best interests and needs need to be kept in mind. The association also strives to be the best at what it does. When we consider the main job role of individuals who belong to an association such as this one, namely the administration of anesthesia, it comes as something of a relief that they belong to a society that focuses so heavily on safety as it is fairly well known that many things can go wrong in the case of anesthesia administration. In addition the association is interested in maintaining and advancing ‘practice excellence’ and ‘its members’ profession’. What this essentially means is that as a member of this organization, you will be given many opportunities for expanding your career and making the most out of it.This is in order to ensure that you are benefited at a personal level, but more importantly it is aimed at ensuring that the profession as a whole remains at a high standard. The standard of the profession obviously has a large impact on the care that patients receive from the professionals within that profession. It also, in turn, reflects the impression that the general public has of those professionals which impacts the job satisfaction of each individual nurse anesthetist. Another topic that arises is looking at patients as whole people. In other words they are not seen simply as individuals who have an ailment that must be treated. Their personal situations and personalities are also taken into account. In short each patient is treated in the same way that you would want to be treated if you were in their position. Last, but not least, the association aims to ensure that integrity within the profession is maintained at all times. The first category of membership with the American Association of Nurse Anesthetists is Active. If you are active and Certified, Recertified, or noncertified you pay $645, if you are active and have ‘Life’ status you are exempt from paying fees, and if you are Emeritus you pay a $300 One Time Fee. The second category is Inactive. Inactive pay $50, and Conditional members are exempt, as are Honorary Members. Associate members pay different rate. Associate students pay $200 while Graduate Associates pay $100 in membership fees. International members are required to pay $85. “Graduation from an approved school of nursing (as determined by the jurisdiction in which the applicant practices). Compliance with other qualifications or requirements set forth in these bylaws”. A conditional member is someone who does not quite meet the requirements for any of the membership categories. N some cases the board will grant this individual membership on a conditional basis. This is, however, determined on a case to case basis and your application will be based on its own merits. In short there is no guarantee one way or the other whether or not application for conditional membership will or will not be approved. Honorary members are members who are given the right by the board to participate in and attend meetings, but who are unable to implement change or vote. Membership with a professional association such as the American Association of Nurse Anesthetists works in your favor in a number of ways. You will, of course, have access to the many benefits and resources offered. However it is important to note that membership serves as a method for boosting your resume. 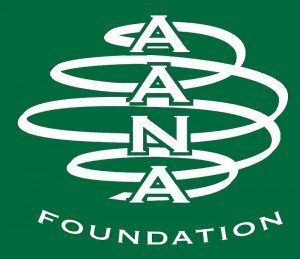 By joining an association such as this one you are showing potential employers that you have a vested interest in the career and that you are willing to go just a little bit further than the average nurse anesthetist in order to keep up to date with developments and skills required to make a success of your job.